There is nothing more exciting to a “techie” than to see hardware prices come down so you can take your electronics to an even greater level. I am one of those techies that loves to use my phone for photography. I take great care of my phones by purchasing a protective case (the kind that have the cage on the inside with the soft rubber on the outside of the cage) and not using the phone until this protection is delivered. I expect a phone to meet the specifications of blogs that are 6+ months old. Well, well, here is my thumbs down to a great phone but a promise not kept by the Samsung S5. If you have noticed the prices of memory dropped greatly during the holiday season. You could pick up a 64gb micro card from Best Buy for under $50. That is a great deal for a store. However, I am a person that likes to shop online and get a better deal on technology. After seeing the store prices I checked my online sources and found 128gb micro sd cards in the range of $12 – $99 depending on the level of the card. There is always buyer beware but my first 128 card was the “HC” level and was only $13. For that price it was worth the risk, plus it had a 10 day warranty. I took my chances with my 3 month old Samsung S5. The “card” worked for about an hour and left my images with a strange symbol. The “card” would only temp hold the images and would erase them when the phone was turned off and back on. Once back on the images were gone. I took the card out of the phone and checked on the computer, no good. The “card” seemed to be the issue. I immediately returned it and took a venture to the Verizon Wireless store. After, clearing my phone they felt it was an issue with the S5. They sent me a “new” (really a referb with the same issues) back to me. I didn’t know this at the time. After taking time for my new chip (128gb Micro SD XC) to come in i thought a new phone and newer/faster card was the issue. 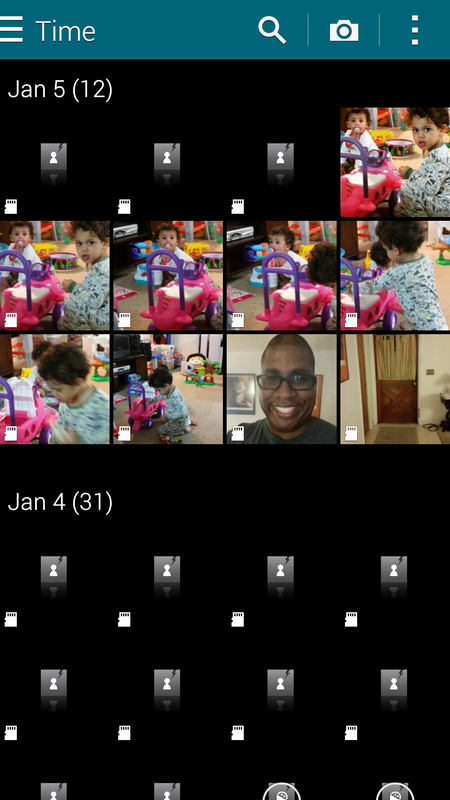 After a test run the “new” phone and the new Sandisk 128gb Micro SDXC still delivered the same results. As you can see there seems to be an issue with writing to the card. It didn’t matter what card i used at the 128gb level it didn’t write. The SDXC level card is the exact one that I am currently using in my Samsung Tab 3 but at the 64gb level and that thing zooms and works great. I believe that this phone isn’t able to truly work at this level since I am on my second Samsung S5. 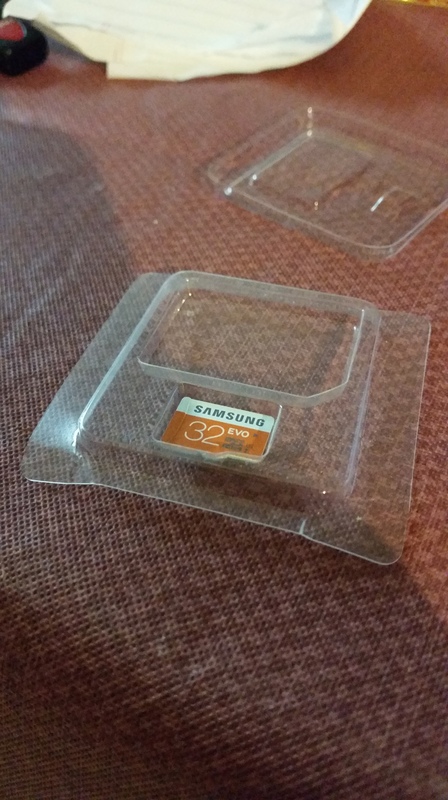 I don’t know what the answer is but if you need a certain level of 128 Micro SD card for the Samsung S5 to work I would like the people at the Verizon store or on Verizon tech support to know. 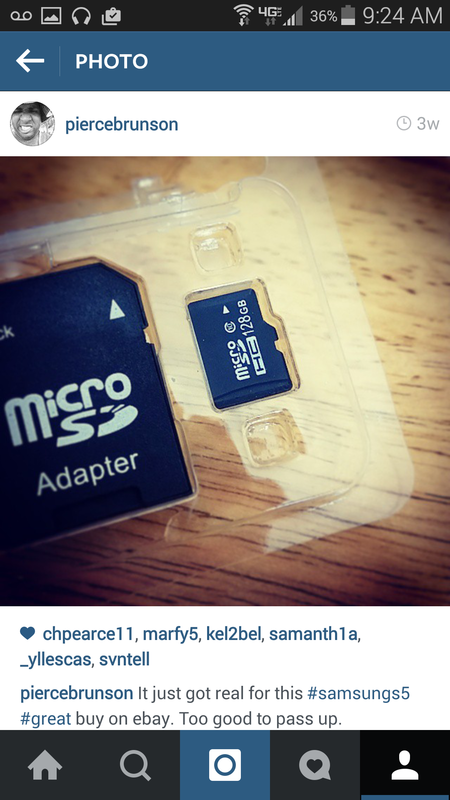 There is another level of micro sd card but i believe it is the phone and not the cards. Instead of using this 128gb powerhouse I am back to the old card. So I am currently dissappointed in the Samsung S5 and will have to continue to use my 32gb card until this tech issue is solved. If you have any suggestions or are experiencing the same issues please share your solutions. Formatted each SD card (4 times). Followed Verizon Wireless tech support guidelines and rebooted my old phone. Performed speed test with the card via Sandisk Memory Zone app. (32gb rated at 36.1mb/sec while the 128 rated at 31.0mb/sec) go figure. Hopefully there is a resolution out there.